This post is about building and presenting information about the current progress of the work, which is one of the most important parts of a project progress report. The presented approach for project reporting is to use indicators, which are numerical and graphical representations of information. 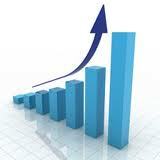 They are also called key performance indicators (KPIs), and they are built from project metrics. They present the information in a way it is very quick to read and understand, which improves the effectiveness of the project progress reports. This post is about how to create good project progress reports. Progress reporting is a very important activity in project management. Project planning is generally recognised as the main management activity (and it is supported by most project management tools), but an effective tracking of the project progress plays also a key role, as well as the communication to the client and other stakeholders. In my experience, many problems affecting projects are related to a lack of visibility on the real status of the work, and to a bad communication of that status to the clients. The creation of good progress reports periodically can significantly improve those areas, because it helps to understand the status of the project, and it provides effective communication with project stakeholders, to evaluate the progress and issues, and take decisions according to it.